Kar, Baby O and I made a last minute trip to DC yesterday. Driving by the Washington Monument, we noticed people lined up along the street. 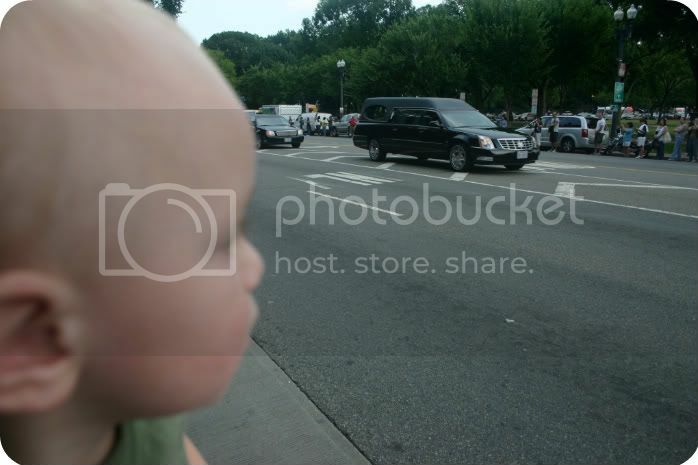 Turns out they were waiting for the Ted Kennedy Funeral Procession, so we decided to stop and watch. It was actually pretty cool and I was super impressed with the entire Kennedy Family. We got to see them all (along with John Kerry).